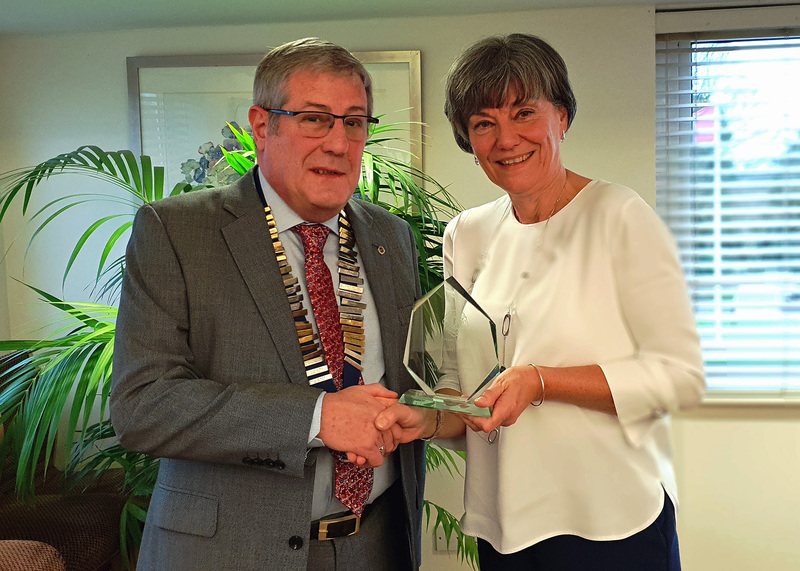 Kenilworth Lions president Gordon Henderson has recently made presentations to two people judged by Club members to have made outstanding contributions to the Kenilworth community over many years. Anne Cross is the manager of the Waverley Day Centre in Kenilworth, providing day care services and activities for older people. The Centre provides a vital service to the town, and Kenilworth Lions has been proud to support it financially and in other ways on an ongoing basis. 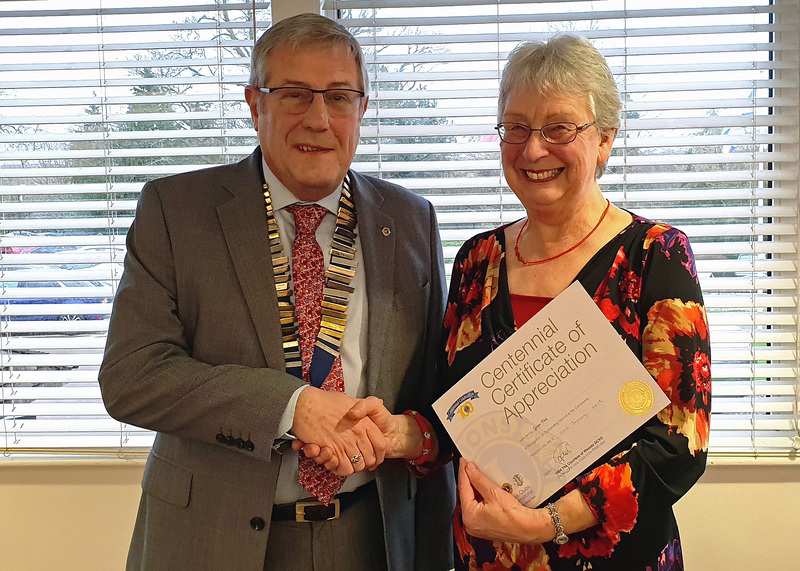 Gwen Peat has been a member of Kenilworth Phab for more than 25 years, serving as chair, secretary and treasurer, and is the main link between Kenilworth Lions and the Phab club. Lions club members regularly drive minibuses to support Phab meetings and events. Gwen is also a regular volunteer at the Bazaar at the Lions’ Furniture Store in Farmer Ward Road.